I think this may be another new product from Marks and Spencer which has a title preceded with "Christmas" but where I'm struggling to find the theme. Maple and Bacon is more American, and not particularly seasonal. 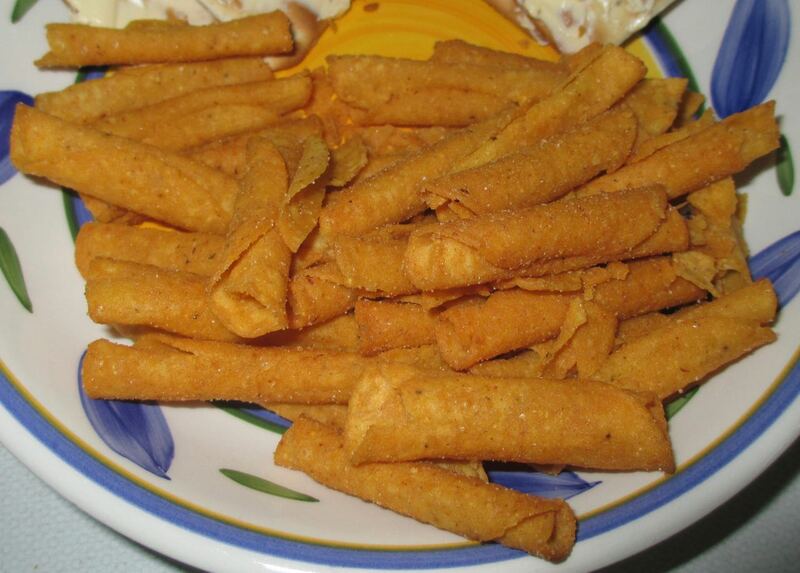 We eat tortilla chips all year round, although rolled ones are new to me. I will however give them the fact that they are in a large share bag, which is good for Christmas visitors, but we buy a lot of sharing bags throughout the year anyway. The aroma from the bag was just a mild sweetness with a hint of bacon. We poured some of the crisps (or chips I guess as they are tortilla) out and tucked in. They have the most amazing texture, the fact they are rolled gives them a lovely satisfying feel when you bite in, with multiple layers crunching away. 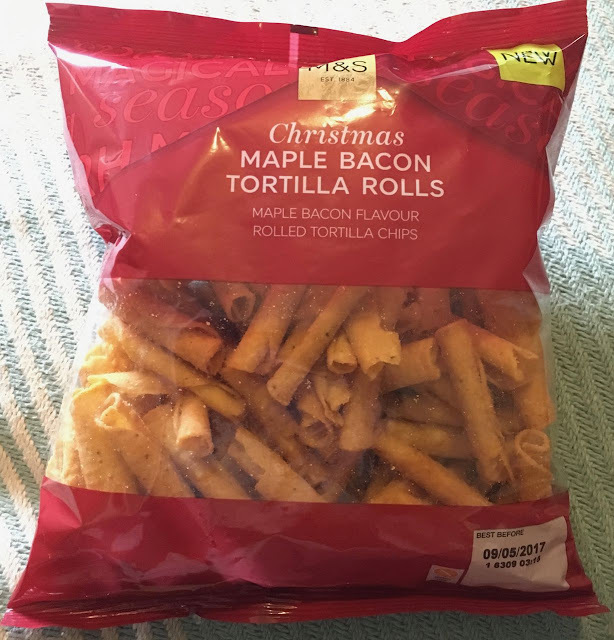 The flavour too is outstanding, the bacon taste is pleasingly meaty and salty, and the sweetness from the maple syrup just works like magic with it. If you haven't tried the two flavours together it does sound weird, but the flavours were meant to be. I remember the first time I tried bacon and maple syrup together in a hotel at breakfast, and I hesitated before pouring the syrup, but became instantly hooked. These recreate that sweet, meaty and salty perfection. The corn flavour from the tortilla chip is pleasingly moreish and works wonderfully loaded with its clever flavour. Please Marks and Sparks don't let these Maple Bacon Tortilla Rolls be discontinued after Christmas, they are too good for that.